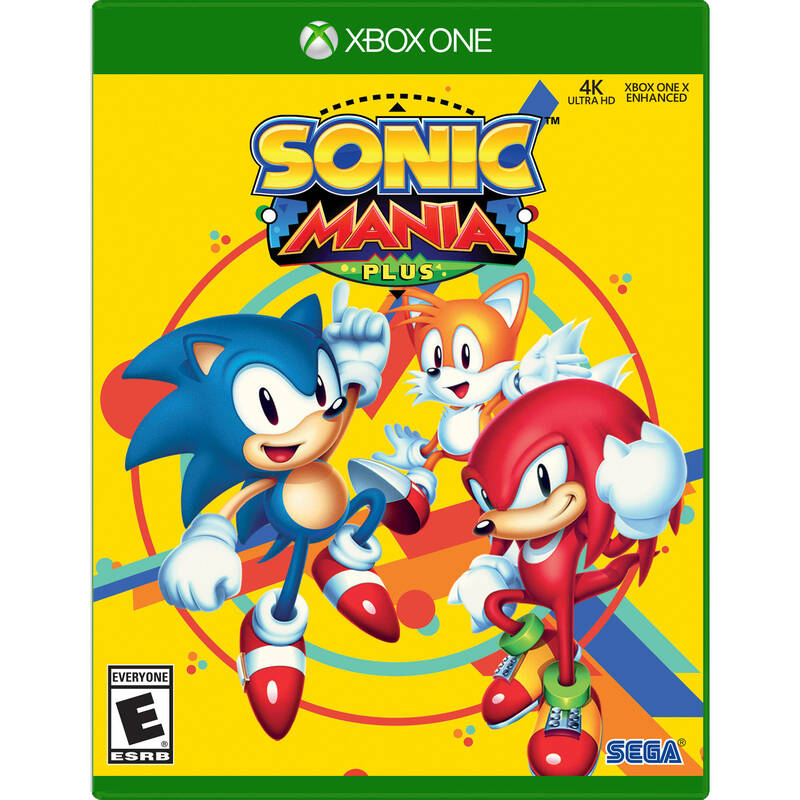 Sonic Mania Plus from Sega is the definitive retail enhanced version of the original Sonic Mania digital release. Experience nostalgic pixels and fun gameplay in a classic Sonic experience. Play a variety of new Zones with iconic favorites from Sonic 1, 2, 3, Sonic & Knuckles, and Sonic the Hedgehog CD. Play as Sonic and his friends and take on the evil Dr. Eggman and his new henchmen, the Hard Boiled Heavies. There is also improved features, like Competition mode, and an added Encore mode. The game cover is reversible for a retro look, and you can also enjoy the 32-page art book. Sonic Mania Plus is rated E for Everyone. Box Dimensions (LxWxH) 6.6 x 5.3 x 0.7"